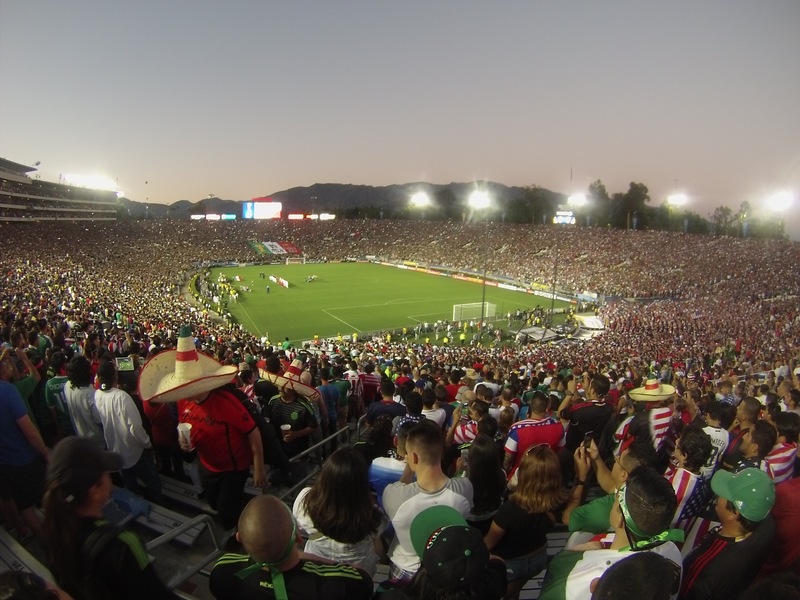 If you are familiar with this blog and myself personally, you already know I went to the US vs Mexico game in Pasadena, rooting for El Tri. I posted a video documenting the experience here. I have also been to US vs Mexico games in Houston and San Antonio. The San Antonio game, I was able to hangout with Pancho Villas Army, a US based supporters group of Mexico fans. So why do I, A US Citizen, root for Mexico? First some background. I was born in the US, my parents(both born in Mexico) taught us little Spanish and I grew up in Northern Florida, far from any “raza” to learn the culture or language from. I then spent 2 years in Mexico on a Mormon Mission. I struggled but fairly quickly learned the language. I loved the people, who I identified with, because of my heritage. I loved the food and made good friends. I dived straight into everything about Mexico. I would rarely speak English with even companions who were American. Now before these 2 years in Mexico, I had played soccer all my life. I lived in an area that was all about American Football, specifically College Football: Alabama, Auburn, FSU, Florida, and the Miami Hurricanes. Our High School soccer coach was actually the football coach and knew little about the beautiful game. I quickly learned that we were playing “kick and run” soccer. Technical skills were lacking and for many players on our team, it was their first time playing soccer. It was a contrast to my time in Mexico where we played soccer in the streets with kids or where Church buildings, instead of basketball courts had mini cement soccer courts. The love for the game was instantly evident in Mexico and a huge difference from how it was in the States. In the US I grew up with Frank Rikard and Van Basten posters on my wall. Roberto Baggio was one of my favorite players. Then I watched the Mexican National Team in the 94 World Cup and my love for team grew. Campos was exciting, but all this was just a flicker in my motivation for Mexican fandome. My focus during the 94 World Cup was still on the bigger teams. Fast forward to 2002, I was then married to a Veracruzana, and working for the US Air Force. I love my country, that is the US, and served it proudly. I was working in Hawaii and saw announcements at bars for the World Cup games. I began watching games and then saw a big promo for the US vs Mexico game. I was following the Mexico games, partly because there were no big following for the US games or Soccer in general. I arrived at a restaurant to watch the game along with Mexico fans. Mexicans in Hawaii, wow, thats impressive. Of course the result was a sad one, but that is where my in-depth love for the Mexican National Team and fanatazism with soccer began. I began to follow the Mexican club league, MLS, and European leagues. I took a liking to Pumas, as some of my cousins went to school at UNAM. I enjoyed Tigres as some family is also from Monterrey. Veracruz got left out in the cold, because they are just too bad. LOL. So to get to the point, my love for the Mexican National team is not one of patriotic loyalty, or politics, but it is about the culture of Mexico, the love of the game. Its because kids grow up playing soccer in the streets or dirt fields, and not any other sport. It’s the passion of the Mexican fans. A big part as well, is the technical style of play, which is a big contrast to the “kick and run” style of soccer that I grew up playing in the US. In Pasadena I heard a Mexican-American fan in a US jersey say, “I don’t wear a Mexico jersey, because Mexico hasn’t given me anything”. To me that has nothing to do with my reasons for supporting Mexican soccer. For me there is a seperation between sport and politics. I do not love something because it benefits me monetarily or because I think it should owe me anything. I support Mexico in soccer because it is part of my heritage, because the fans are passionate and united in its love for Futbol, and finally because I enjoy the way the game is played as opposed to the US game. The US is the country of my birth, Mexico is the country of my heritage. I would not be a fan of any other country’s team, but between the US and Mexico, my path has taken me to be a El Tri fan for life. So I flew out to Cali to check out this “important” game between the US National Team vs the Mexican National Team of soccer. I knew of all the molero friendlies, such as the previous one in San Antonio, that this was the one to be at. 93,000 peeps flooded the stadium and from my perspective 85% of them were Mexico fans. Pancho Villa’s Army impressed with a large showing on their side of the field, and the huge banner that they unfurled during the Mexican national anthem. I got to meet up with my man, Joely. Enjoyed some of LA sights and pregame tailgate festivities. The game was the icing on the cake, even with come back US goals, the ending was glorious. 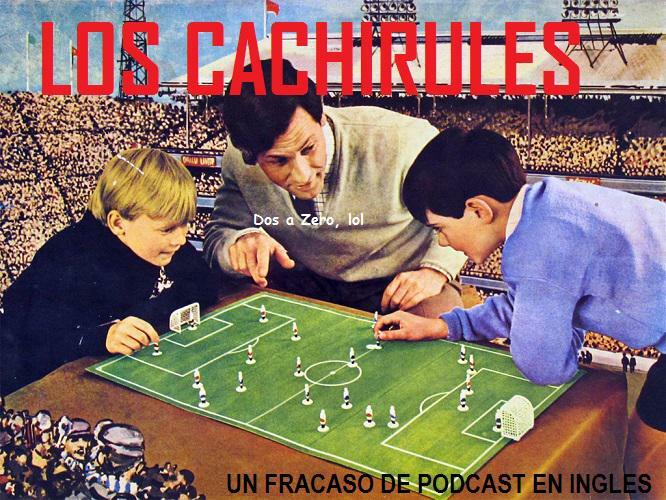 We started our first show last night, with some pretty good talk on this upcoming Mexico vs USA game. 90 large may be showing up, but we talked about it being a possible “partido molero” as well as the entire Confederations Cup.